Product Description These Printed Georgette Palazzo With Lining are very stylish, comfort , and versatile. Pair them with any of your outfits and stay fashionable without sacrificing comfort. 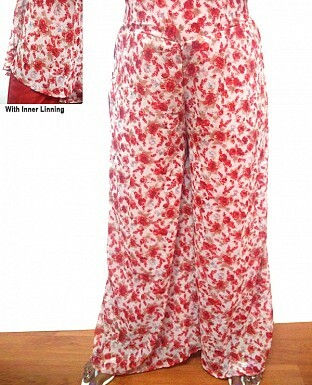 These Palazzo are footless and will look great with sandals - or any of your shoes, a closet staple!